If you can say anything for certain about many lawmakers, it is this: They never, ever give up pushing their ideas — no matter how lousy those ideas might be. 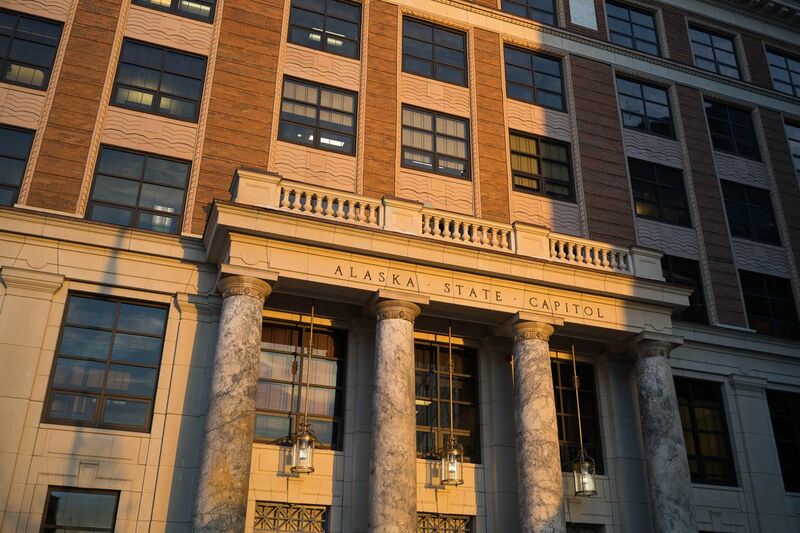 Take, for instance, the notion of enshrining the Permanent Fund dividend — itself a particularly harebrained public policy decision dating back to 1980 — in the Alaska Constitution, thereby compounding the Legislature’s 39-year-old error. Lawmakers — Republicans and Democrats alike, I’m sorry to say — have embarrassed themselves over the past few years with repeated attempts to constitutionally ensure the Permanent Fund dividend is paid, no matter what. This time around, Democratic Sen. Bill Wielechowski, as he did in 2016, has offered Senate Joint Resolution 1. In the House, Democratic Rep. Chris Tuck has offered mirror legislation in House Joint Resolution 3. If approved by two-thirds of the Legislature and voters, the amendment would enshrine the dividends and a formula to calculate them. The impetus for all this appears to be former Gov. Bill Walker’s overriding the statute-based formula in 2016 and vetoing $696 million of the $1.4 billion appropriated by the Legislature for dividends as the state faced massive budget deficits. Wielechowski sued, challenging the governor’s veto authority. The Alaska Supreme Court sided with Walker. The Legislature, not to be outdone, overrode the formula in the following two years. The money remains stashed in the fund’s $16.6 billion earnings reserve account. A lingering question unanswered by the save-the-dividend-at-all-costs crowd is this: If oil prices crash, as they did in the 1980s and again a few years ago — and prices were to remain low — what then? Dividends are nice, but Alaska has other constitutional obligations, funding retirees and education among them. Would an enshrined dividend, complete with its own formula, elevate the annual payout above retirement pay or funding education, which have no constitutionally mandated spending formula, when push comes to shove? That seems almost unthinkable. In a state with a long, sad history of boom-and-bust cycles and only one resource to pay the bills, how can anybody begin to guarantee — constitutionally guarantee, no less — an annual dividend, when nobody even knows for sure how much money the state will have next Thursday? What happens when there is not even enough money to pay the required dividends? What if there is not enough money for dividends and government services, even truncated government services? What goes away to pay dividends? Public safety? Health? Courts? Medicaid? Count me among the grievously conflicted, those who like the dividend, but know it is wrong, wrong, wrong. OK, count me among the grievously conflicted, those who love the dividend, but know it is wrong, wrong, wrong. It is free dough, a sinfully guilty pleasure akin to ignoring your doctor and eating a pile of Chicago hot dogs, pizza and chocolate cake — and washing it all down with $200-a-shot hooch. And the idea of reimbursing the dividends shorted over the past few years? That is more than appealing — despite real questions about where the dough would come from. That the dividend, as hatched, was a bad idea is undebatable. It has pushed and tugged at Alaska’s fiscal policy for decades and now is the tail wagging the dog. Ostensibly created as a buffer to protect the state’s oil wealth savings account from greedy lawmakers, it has morphed into a vast entitlement program. Over the years, as Alaskans grew more attached to their slice of Alaska’s oil wealth, the now-$61 billion saving and investment account’s raison d’être evolved — from being the Alaska Permanent Fund to the Alaska Permanent Dividend Fund. When it comes to the dividends, it would be nice to stuff the genie back in the bottle, rethink the entire idea and find a better way to keep government honest, but we are all grown-ups here. The dividend is going nowhere; that train left years ago. It now is an integral part of the Alaska economy, a financial cornerstone for many Alaskans and economic manna from heaven. Doing away with it could be calamitous on many levels. While there are many Weilechowskis and Tucks among us who sincerely believe enshrining the dividend is a good idea, they are wrong. At some point, a constitutionally protected dividend would inflict real fiscal damage. The answer is not in making the dividends unassailable, it is in changing the statute to provide an affordable dividend and electing lawmakers and a governor who will follow established law — and punishing them at the ballot box when they do not. The dividend program, you will remember, chugged along just fine without constitutional protection from 1980 until Walker’s veto. Adopting a new, untenable and burdensome constitutional amendment with the potential for catastrophic consequences is not just an idea. It is a lousy idea.